Full Service Weekly Pool Cleaning, Acid Wash, Chlorine Wash, Pool Filter Cleaning, Total Dissolved Solids Testing and Cleaning, Pool Draining Services, Green Pool Clean Up Services and more. 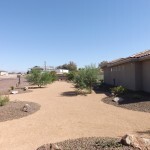 We offer before and after photos for each service performed to ensure the highest standard of work. We specialize in Pool Equipment Repair and Pool Light Repair. We also repair pool pumps, pool filters, pool vacuums, automatic pool cleaners, and provide pool parts. If you are in need of a new pool filter, please call us for a free quote. We can provide your pool with a new cartridge pool filter or DE pool filter AND install it for you for less money than you will pay at your local pool supply retail store. And if you own a sand filter, remember that your sand needs to be replaced once every year for it do be able to do it’s job. If you don’t know if your sand has ever been replaced, you probably need to replace it. Pool Maintenance: We offer one-time pool chemical balance, quarterly pool filter cleanings or as needed, pool sand replacement, and more. We also provide treatment for high TDS (total dissolved solids) in pools. Your pool needs to be drained about once every year to avoid high TDS, which will cause your chemicals to no longer be effective at killing bacteria. Call us for more information on pool maintenance. Once you have permits and utilities out of the way, the site is prepared by first establishing the finish grade of the pool deck. The pool is then set by crane or other equipment using lifting straps to meet APSP/ANSI codes for level application. This is called “locking in” the pool. The pool is then filled with 6” of water. As the plumbing lines and electrical lines have already been run in the previous steps, hooking up the pump, filter, heater, water features, and electrical lighting is a simple process. Once the conditions are right to start pouring concrete, the deck of your pool area will begin taking shape. No one can predict the weather accurately or see underground obstacles, so prepare yourself for the possibility that setbacks may occur beyond you or the builder’s control. Living in Mohave County folks understand our windy unexpected weather patterns. Walls, floor stairs, benches light niches all are crafted. At this stage our masonry crew will show up at the job-site to do your coping and tile according to your pre selections. Masonry is a tedious phase but the reward to the eye as well as durability will be enjoyed for decades to come. We will first do a layout of the decking to show you where the concrete will be poured. Forming will be required for the deck stage. Rebar is once again, added for extra strength, it is actually dowelled into the gunite shell at points around the pool perimeter. Our pool plumbers are well versed in the proper plumbing dynamics and proper sizing of piping to optimize the flow from pool to equipment and back to filtered returns. After the plaster is applied, we leave the pool filling with your water supply. During the filling process, DO NOT STOP the water from filling into the pool. A stain or ring may form on the pool plaster surface where the water was stopped. Once the water reaches the center of the tile, stop the filling the pool and call the office to schedule the equipment start up. Get in touch using our online form so that we can assist in an estimate of this project. 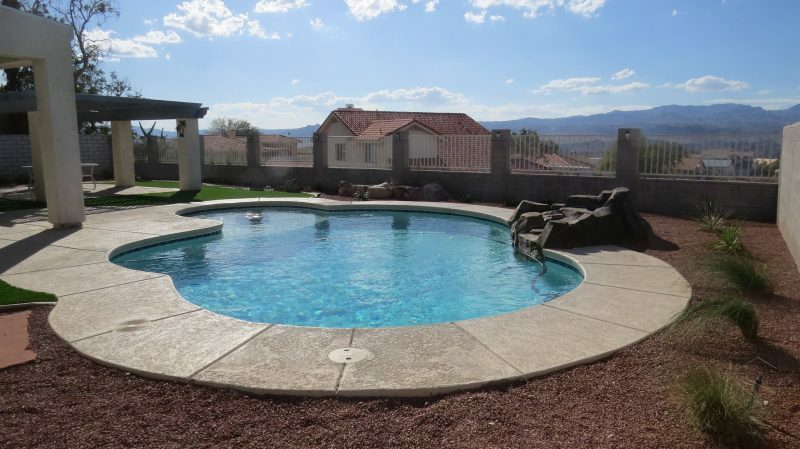 Use our online estimator tool provided by San Juan Pools for easier budgeting of your project. 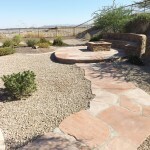 Unique financing solutions for families nationwide who are looking to create the backyard of their dreams. 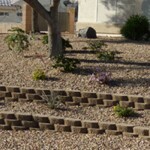 Baron Landscape Solutions has been providing quality landscape service to the Tri-State area since 2006. 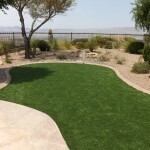 Our company offers maintenance programs, one time services and landscape design and installation, including artificial and natural grass, shrubs, irrigation, pavers, concrete, lighting, water features and many other landscape items. Our company is fully licensed and bonded and performs complete background checks on all our employees to ensure the validity of their work status and work history.